With a luxurious New York jazz lounge vibe and an offering of fine champagnes, cocktails, spirits and wines, Astor Bar at The St Regis Kuala Lumpur has it all. Opulent furnishings, exquisite light bites made to pair and a spectacular wine room with a gold ceiling dome, what more could you ask for? A South-East Asian twist on the submarine cocktail, this beer-based beverage mixes mango, tequila and a dash of chili for a lightly spiced thirst quencher. Inspired by the mimosa but with a visual twist, this cocktail is a feminine drink that features cotton candy. While we won't spoil the surprise, this vodka-based cocktail wasn't too sweet and had hints of rose. Inspired by a regular drinker who happens to be a professor, this gin and tonic mixes lemon, kaffir lime and dehydrated oranges for a citrus blast that enhances the drink. Very refreshing. Smoky, woody notes enhances this American bourbon cocktail. Smooth and rich, the hint of orange at the end softens the blow of the liquor, making for a great drink for whisky fans. 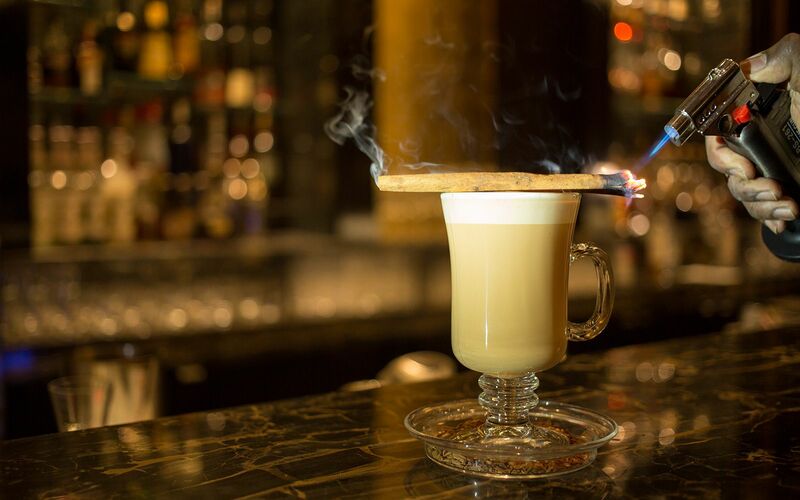 A delicious alcoholic take on teh tarik (pulled milk tea) with whisky, this strong beverage is best suited as a nightcap or the last cocktail on your list. The richness of the heated alcohol is the first thing that you'll notice, but will be quickly be replaced by the spiced tea. The original and legendary cocktail introduced by King Cole Bar of The St Regis New York. Very well balanced, it's refreshing, heavy bodied and has a whirlwind of flavours that excites the palate. A local twist on the Red Snapper, the cocktail introduces asamboi infused vodka, making for a interpretation worthy of KL. The heat from the chilli padi works well in contrast with the sourness of the asamboi, having our seal of approval. Sleek furnishings and ample space allow guests to relax with a drink in one hand and a cigar in the other.